With Duke’s prolific passing offense, it’s no surprise that the Blue Devils have had success recruiting and developing talented wide receivers in Durham, most notably All-ACC performers Eron Riley, Donovan Varner, and Conner Vernon. After adding California WR Blair Holliday in the class of 2011, the Blue Devils hope to continue that trend in the class of 2012, and have offered another top California receiver. 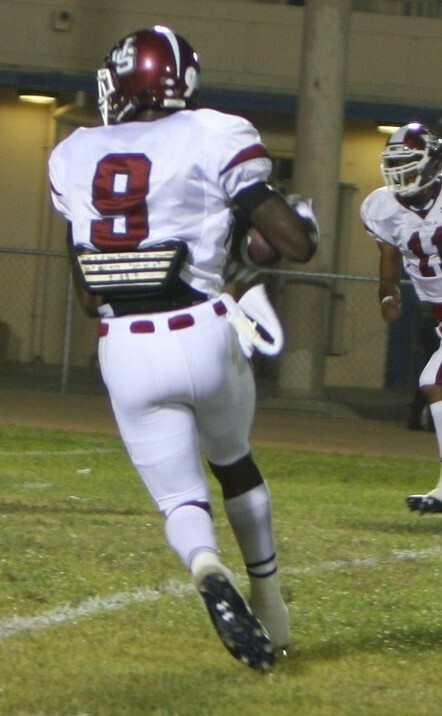 Jonavaughn Williams is a 6’0” 197 pound WR/DB prospect from Jserra Catholic High School in San Juan Capistrano, CA. As a junior, Williams caught 5 touchdowns and received All-Trinity League honors. Highlights of his junior year can be viewed here. For DB, I’m bigger, I’m 6’0” and weight 197, so I’m bigger, which helps me fight with the bigger receivers that I play against. Also, the toughness that Jserra brings to the table for an athlete. Also, the league that I play in with Servite and Mater Dei and all these good schools out here, it definitely helps me mentally be a better player. Right now I’m working on my speed definitely, that’s the man thing I’m working on. I’ve been working in the sports lab at my school just stretching and getting a lot faster so that I can be prepared to compete at the college level. BDN: What are your goals for yourself and your team for your senior season? The goal for my senior season is to make the playoffs because we’re a relatively new school and we haven’t made the playoffs yet, so that’s a main goal for my team and I, to make the playoffs this year. In a school, I’m definitely looking for location and the weather, but moreso for how they treat their athletes as far as housing and academics, tutoring, so academics is a big part, and that they treat you like a student, not just an athlete. BDN: Which schools have you been in contact with the longest or most often? I’ve been offered by four schools, and that’s Duke, Arizona State, Washington, and San Diego State, but I’ve been in contact with some smaller schools like Northern Arizona and a few smaller schools like that. BDN: You mentioned location being important; do you have a preference to stay on the west coast? Well, it doesn’t really matter to me, just wherever I feel comfortable. I just want to visit as many schools as I can so I can find out if I like the east coast or I like the west coast, or south or north, whichever place fits me the best. BDN: Have you had a chance to make any visits or do you have any visits planned? Definitely I have plans for visits. I’m trying to go up to Washington for their spring game and get out to Arizona State for their spring game. I went to a camp at UCLA and that campus was beautiful. I’ve been to San Diego State, competed at a couple tournaments there, and I’ve been at USC. All these schools are beautiful and nice, but I’ve just got to find my place. BDN: Do you have any plans for east coast visits? Yeah, they can be expensive, so I’m planning on my east coast visits for officials. BDN: Do you have an idea for when you would like to make your final decision or how you would like to narrow your list down? I’ll probably make a decision before the new year, definitely. I want it to be set in stone so I won’t have to worry about where I’m going to college. I just want to try and get out to as many schools as I can. I want to get it done before the new year, definitely. About me personally, I work really hard, I’ve been competing very well, you have to work all year. Football in the summer, getting up at 6:15 for football in the morning and then doing it again in the afternoon, it’s just a grind, but it’s finally paying off for me with these offers. I just have to put the work in to be successful. BDN: Thanks a lot, Jonavaughn, and best of luck to you.